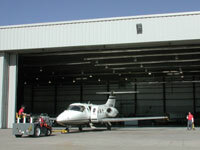 Armor Steel Buildings - Three Levels of Pricing Make Your Project Affordable with Armor Steel Buildings. In a world where respect and integrity is getting harder to find, one name stands above the rest...ARMOR Steel Buildings and for good reason. True success is found in living and running a business based on God's laws of success, embodied in The Biblical Standard - "treat others as you would like to be treated." At ARMOR Steel, Our Biblical Standard is at the forefront in every building we design, every piece of steel we manufacture, and every relationship we develop. Can We Match Any Price? We promise no one will work harder or be more honest to get your building in your budget. Choices abound in the pre-engineered steel building industry, as it does with any large purchase. Yet, some consumers are sometimes so price-driven that we short-change ourselves of the wealth of knowledge available. ARMOR Steel Buildings works with our Authorized ARMOR steel Builders to design a project to fit any use or budget, with the quality product and services you need. We will also invest our time to educate you on total steel building & construction costs, so that you will know how to evaluate those costs. You will know how to reduce steel building costs without offsetting higher construction cost, and where it makes sense to do so or not. Many competitors with the "low bid" mentality feel "if you don't know you don't get it"... We will also give you Detailed Quotes and not vague quotes so that you will see the difference and the value of what we call standard, and others call options (e.g. 80,000 psi vs 50,000 psi and what that means to the structural integrity of your building purchase). With Armor, you will learn the real dollar value & advantages of a metal building that comes standard with stainless steel fasteners, galvanized girts and purlins and extended weather tight PBR roof panels, etc. If we can earn your trust enough that you are comfortable sharing your needs and budget, we promise to invest our time to educate you. We will give you an honest cost free consultation and evaluate any competitors quote down to the last fastener and penny. All we ask for, is the last shot to honestly show you where the difference is. Over the years, we have found that the more educated the consumer, the better our quality and price look. This also ensures that you, the consumer, is very happy with your negotiated bid and purchase ...and, as everyone knows, happy consumers tell their friends and business associates. That's how we continue to extend our circle of repeat and referring customers. Here's how ARMOR's 3-Level Value/Pricing works! Let's use an everyday analogy to help explain our process. 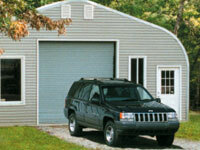 Imagine that your pre-engineered steel building purchase can be compared to the purchase of your car or truck. With any vehicle, you have to first choose its use, size and style to establish and define if you are in the market for a luxury automobile vs. a moderately priced large or medium car/van/ SUV/truck vs. a small economy model. Over the years we have found that most consumers can similarly define their pre-engineered steel building needs in terms akin to a Cadillac, Chevy/ Ford or VW Beetle. That is where our 3-Level Value/Pricing approach begins. Like buying a vehicle, every consumer also knows that even with the 3-Level starting point, by adding, subtracting or simply adjusting options; one can effectively blur the distinctions between the Cadillac, Chevy/ Ford or VW Beetle. For instance, a car designed to have the flexibility and features allowing for off-road use would be different than a city/highway vehicle. However, a vehicle that requires both would be outfitted and priced differently than a single-use vehicle. 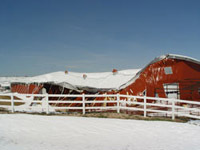 Similarly, a building designed to withstand possible snow, earthquakes, or hurricanes or a building that will have suspended lights or sprinklers, or openings down one side of the building would be designed and priced differently than one not requiring, or offering such advantages. Additionally, considering short-term needs vs. long-term building needs that might need to have add-ons or extensions built into the design would favor some building types over others. Our job is to help you evaluate your "total cost of ownership", at today's building and construction cost as well as the value of your investment in 20 or 50 years. In today's economy the value of residential and commercial construction & properties goes up approximately 10% per year. 100% return on your investment in 10 years! Now, let us help you compare the 20-30 year value of your new building to the few dollars difference in cost of quality & service, today? So, now you see why the simple answer of a single price quote for a given building might be a tremendous disservice to you. What if you really could get more building/features for a comparable or lower price than that quoted by a competitor? With such a large purchase, our customers have been telling us for years how much they appreciate investing some of their time with us to learn about, understand, and capitalize on all the inherent advantages and disadvantages of the myriad of factors and design options in steel buildings. We will also help you to evaluate our bids and our competitor's bids side-by-side ...so that if a competitor has truly found an apples-for-apples better buy, we can give you the added assurance that you have found a best buy. Not just low price... but out working the competition to provide you the maximum combination of quality & features for your bottom-line, discount steel building price. And, we further pledge to help you professionally, courteously and with the Biblical Standard guiding our conversation. Again, all we ask for is that you give us the last shot... The education doesn't cost you anything but a little time... The cost of the wrong choice of application, product or competitor in 10 years?? Contact us now about your steel building needs.